The final month of summer is the most exciting one in St Kilda with the annual St Kilda Festival taking over the streets once again this February. Held on the famous foreshore, this melting pot of Australian arts and culture is a must-see for locals and visitors alike. Whether you’re a seasoned festival veteran or are ready to join in the fun for the first time, we’ve put together a ten-step plan to help you get the best out of the fest. Available now on the iTunes and Google Play stores, the official app will become your best friend on festival day. The festival is a no-car zone so be sure to plan ahead with the app’s transport guide, and remember to check out the maps and timetables so you don’t miss out on your favourite acts. Get ready to dust off your vocal chords and give those pipes a workout! From 4pm to 7pm on Festival Sunday, [Big Sing](https://www.facebook.com/www.ignitecoaching.com.au/?fref=ts) are holding one-hour vocal workshops, open to anyone interested in giving something new a try. Start off with a few easy harmonies then come together as a group to sing your hearts out – no experience necessary! Those with restless feet are going to love the abundance of dance workshops and performances on offer on Festival Sunday. Cutting a rug has never been so easy with [Rewind Dance Company] (https://www.facebook.com/rewinddancestudios) and [Le Bop Dance] (http://www.stkildafestival.com.au/artist/le-bop-dance) ready to teach you all the moves, and [Bindaas Dance Company]( http://www.bindaasbollywood.com.au/) will whisk you straight to Mumbai with their Bollywood workshop in the evening. Two left feet? No problems! There are plenty of performances from around the world on show throughout the day where all you need to do is sit back and admire. 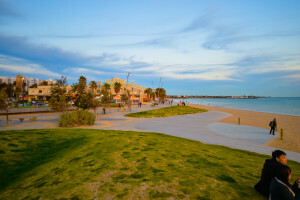 Like the rest of Melbourne, St Kilda is full of arts and culture to immerse yourself in. On Festival Sunday, St Kilda’s oldest church, [Christ Church](http://www.christchurchstkilda.org.au/) opens its doors, or take some time out of your day to visit the important [Jewish Museum] (http://www.jewishmuseum.com.au/). Enjoy the [Hare Krishna festival] (http://www.harekrishnamelbourne.com.au/festivals/ratha-yatra-festival-of-chariots/) in the wonderful Catani Gardens (and don’t forget to grab yourself some delicious vegetarian food). From here it’s just a short walk to see a live painting display on the walls of the iconic Fitzroy Street. As Australia’s largest free music festival, it would be remiss of us not to mention the impressive line-up of musicians on the bill for Festival Sunday. With a massive ten stages scattered across the precinct, music lovers won’t have trouble finding something to bop to. Uncover the next big thing at the New Music and Live N Local stages, head over to the O’Donnell Gardens stage to hear the mesmerising tones of Montaigne and finish your day at the main stage grooving to music icons The Grates. Click [here] (http://www.stkildafestival.com.au/festival-sunday/set-times) for the full line-up and playing times, or check your official app. One thing is for certain every year at St Kilda Festival – you won’t go hungry. Along with the multitude of famous restaurants by the beach, food trucks with a variety of quick eats will be rolling in near the music stages. Look out for Lipton Iced Tea and Bulla for delicious free samples, and why not enjoy a great Italian gelato at Fritz Gelato on Fitzroy street –( https://stkildamelbourne.com.au/2015/08/13/fritz-gelato/) – or at The Boardwalk Takeout (https://stkildamelbourne.com.au/2015/08/13/the-boardwalk-take-out/) by the beach? (http://www.stkildafestival.com.au/festival-sunday/activities-events/zumba-fitness-demo) or mix dance with some invigorating yoga by the main stage – register [here] (https://www.eventbrite.com.au/e/discoyoga-beach-party-st-kilda-festival-2016-tickets-20137408531). For those who didn’t pack their running shoes, sit back and enjoy the spectacle of the [Victorian Open Beach Volleyball Championship] (http://www.vicbeach.com.au/) or some action-packed [live wrestling] (http://www.stkildafestival.com.au/artist/melbourne-city-wrestling). St Kilda Festival has been lucky enough to partner with some fantastic charities this year who could use your support, including Beyond Blue, the White Ribbon foundation and the Sacred Heart Mission. Recycle for a reward at the [Reverse Vending Machine]( http://www.envirobank.com.au/reverse-vending-machine/) by handing over your aluminium cans and bottles, or you might even be keen on giving [Cupid’s Undie Run] (http://www.cupidsundierun.com.au/) a shot, raising money for the Children’s Tumour Foundation. On Festival Sunday, the little ones will tell you – Kidzone is where it’s at. All day in the Catani Gardens you and the family can catch performers, musicians and fun-filled activities. You can also take the kids for a wander down to the pier to try their hand at some fishing! For more information on kids’ activities at the festival, click [here] (http://www.stkildafestival.com.au/festival-sunday/kidzone). Don’t forget the extra events! 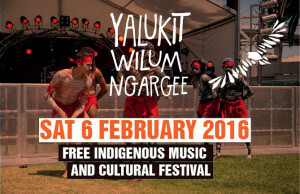 If you’re around the area on Saturday 6 February, then Yalukit Wilum Ngaree in the O’Donnell Gardens is a must-see. The annual festival is a celebration of Indigenous culture and includes a stellar line-up of musicians, performers and activities for young and old. 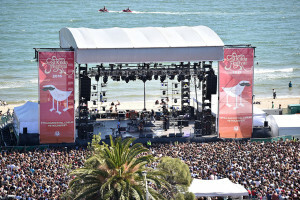 St Kilda is a music fan’s heaven in the lead up to the big show on Festival Sunday. 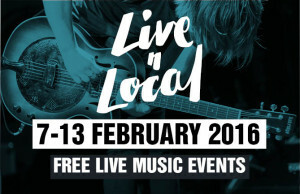 Live N Local week runs from February 7 to 13 and sees iconic local venues open their doors for a number of free gigs from the next big local stars. Festival Sunday, St Kilda Festival’s main event, is held at various landmarks in the area on Sunday, 14 November 2016. For more information on the festival, please visit the website at www.stkildafestival.com.au. With no shortage of things to see and do in this picturesque beachside precinct, we’re certain you’re about to make this year’s festival and unforgettable day!